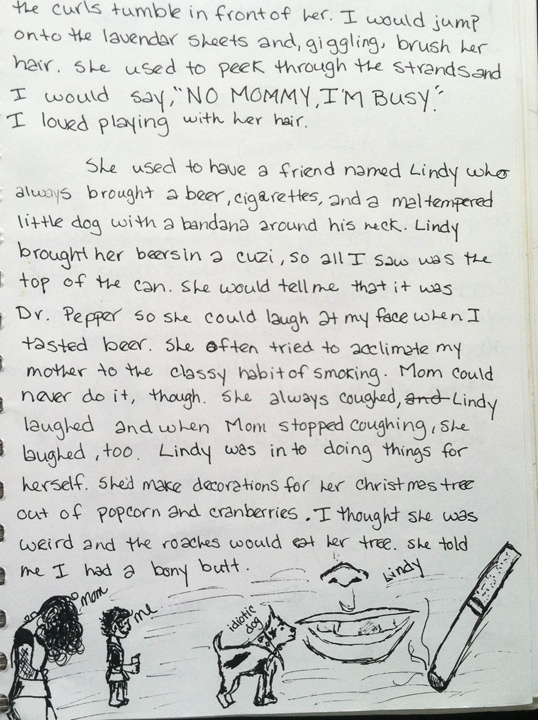 I kept journals from middle school until after I finished college. I say ‘Kept’ because more than simply writing in them, I retained them through moves to central New York, to Chicago, to Los Angeles. I left boxes of yearbooks in my parents’ attic, but these books went everywhere with me. Destroying them would be like cutting off my hand, but they were too precious to leave them where someone else might find them. I got the email from my editor’s assistant two weeks ago. Can you send us a portrait (that will be used for every book with your name on it ever?) two weeks from today? Ok, I am paraphrasing, but that is what it felt like the email said. I knew this day was coming, eventually, but I didn’t think it would come so soon. I’ve never taken an Official Portrait before. I’d seen them on book jackets, sure. The desks, cigarettes, tweedy jackets. Or the sweater sets, or the ironical photos of writers playing frisbee. I eagerly began googling “Great Author photos” and “How to take a good Author portrait.” And you know what? I couldn’t find many good tips on this process at all. Probably because it feels nauseatingly ego-centric to write a piece claiming to know how to take a good photo. But luckily I live in Los Angeles, the great land of self-promotion, so I was able to glean advice from the various actors/speakers/reality stars/ real estate agents who sit for headshots every day. So, I thought I might take a moment to share what I learned in my photographic adventure. A few months ago, in a haze of afternoon jittery-ness, I decided to cut down on my caffeine intake. I slashed my 4-5 cup a day habit to one 8oz mug with breakfast, and I stocked up on caffeine free herbal teas to feed my psychological need to have a steaming mug sitting beside my laptop at all times. I thought a good chocolate rooibos tea would be a sensible coffee-esque substitute, and I tried a few different blends. But that obsession can get pricey pretty fast. Many of them also lacked the deep bittersweet chocolate foundation that I was craving. Then, this afternoon I discovered the best supermarket tea hack ever. It’s a little “Sandra-lee semi-homemade” and a little “desperate broke nerd,” which I love. It’s super chocolatey, and with the addition of a little honey and milk is a great low-cal substitute for hot chocolate. Toss the tea and the chocolate chips into a warmed mug. (NOTE: If you are tea nerd like me, then you will cut open the tea sachet and pour the loose tea leaves into your mug to allow them to steep freely) Pour boiling water over and stir for 30 seconds. Allow to steep for 4-5 minutes, the remove tea bag (or strain out tea leaves with a strainer, pouring your delicious brew into another mug). Add milk and honey to taste. What We Do When Becca Comes to Visit…. i love the debris that collects in library books. and i don’t mean skin flakes and finger oil, hair….i’m talking about slips of RiteAid receipts that list a gallon of white zinfandel and 2 bags of pork rinds, a slice of a syllabus for PHIL201 FALL SEMESTER 2002, recipe cards…. the best are the lonely pieces of paper with the fragment of a thought scribbled “do flowers always mean death, or can they also mean RENEWAL??? what are they doing HERE?” the first thing i do when i get a book out of the library is page through them to find these treasure, and wonder about the story is there…. 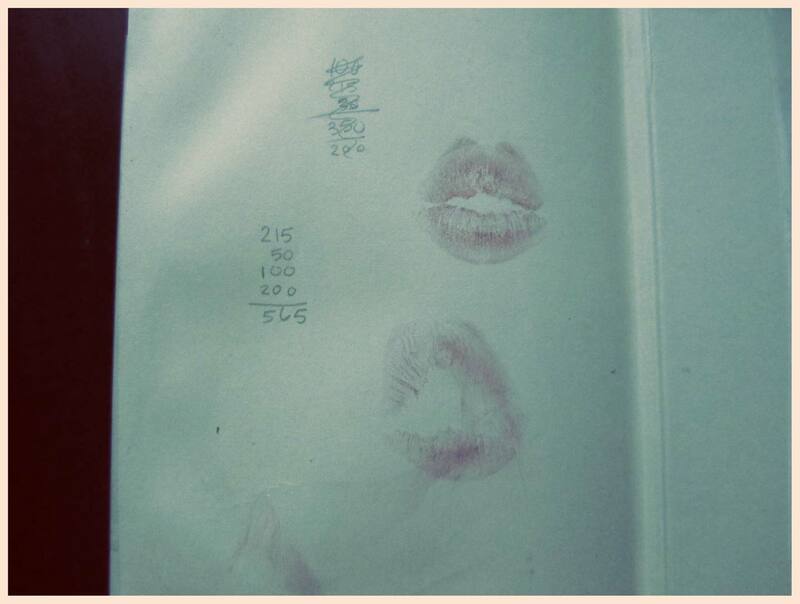 a couple days ago, the Gent and i went to change out our books, and he picked up Diary by Chuck Palahniuk, and on the last page, right where it would land over Chuck’s author photo when the book is closed, was a lipstick kiss. and then some math. …one of my favorite things i have ever found in a library book…. 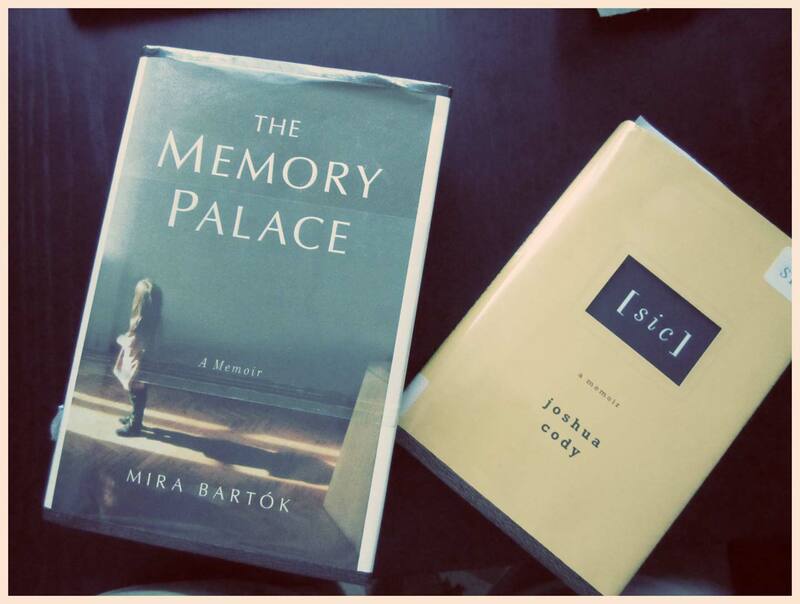 i am currently staying on the memoir train and reading: [sic] by joshua cody, and The Memory Palace by Mira Bartok. …..I make biscuits…. It’s a terrible affliction. Combine dry ingredients, mix until just combined, add butter & cheese and combine until the texture of soft crumbs. Add water and mix until dough comes together. 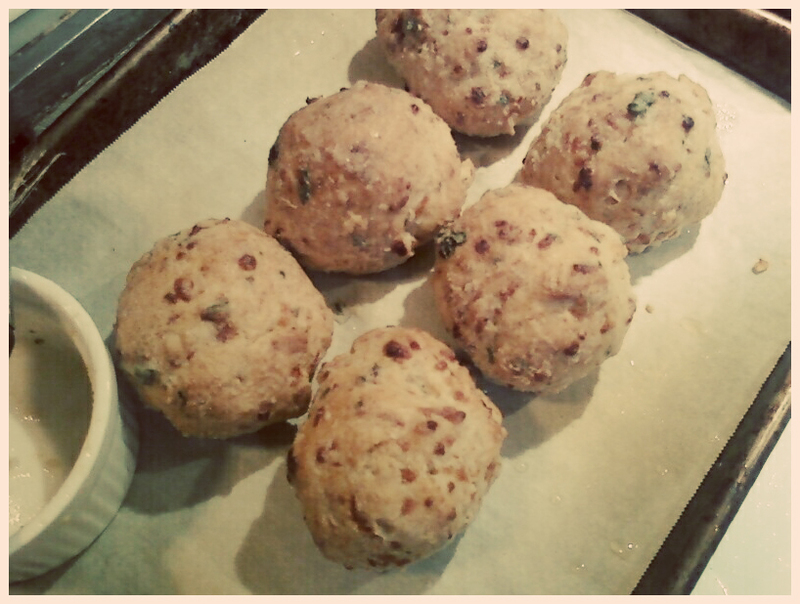 Break into 8 even size balls and bake for 10-12 minutes until golden brown. While biscuits are baking, combine topping ingredients. When biscuits are golden brown, remove from oven and brush with butter mixture. Try not to eat them all in one sitting…..
thanks a lot, jenny lawson…. In order to increase productivity, I have blocked my facebook, gmail, huffington post, design sponge, and eater during the hours of 9am-7pm, Monday through Friday. 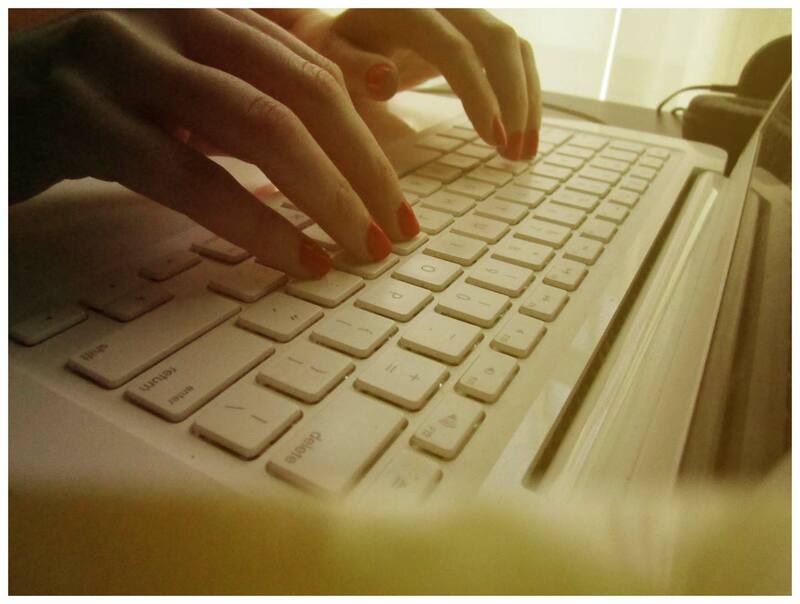 But a couple of days ago, I discovered Jenny Lawson’s The Bloggess…. 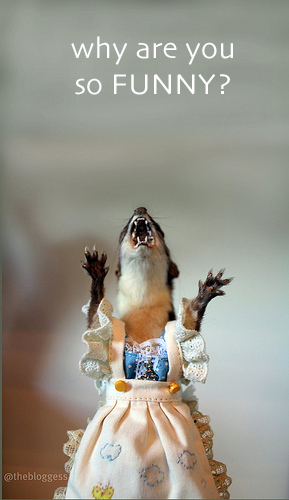 and now I am hooked like a slab of meat on her unique brand of sass and taxidermy. I’ll probably have to add her to my block list if I want to get any work done, but I can be writerly and buy her book, too….